Xero accountants play a vital role in the success of businesses nationwide. As late payments continue to cause cash flow problems for SMBs (almost half of SMBs in the UK have negative cash flow), many are turning to their Xero accountant for advice. Advice on cash flow often includes which payment and billing technology to use and how to use it. And if one accountant doesnâ€™t provide that advice, the chances are that another accountant will. Here at GoCardless, weâ€™ve found that more and more of our accountant customers are asking us for guidance on Direct Debit, so they can confidently recommend the right solutions to their clients. Because of this, weâ€™re launching a formal Accountants Program in the UK and Australia to help our 3000+ Accountant Partners become officially certified as GoCardless for Xero advisors. Inspired by Xeroâ€™s own partner programme, weâ€™ve built a certification process, a range of educational resources and support from a dedicated team of account managers. The program is designed to give advisors the confidence to approach conversations about tackling late payments, billing and Direct Debit, and add more value to their client relationships. Once accredited (following online training and a short online test), partners will have access to online resources, including template emails, FAQs and videos. The program also has a dedicated team of account managers, who are always on hand to support. East Anglia based firm Scrutton Bland recently became the first accountancy firm to join the programme and get accredited in the UK. Their partnership with GoCardless will be included as part of sblive, a service offering tailored software packages for their SMB clients. Scrutton Bland director Ryan Pearcy says, â€œWeâ€™re building a software package for our SMB clients to give them the tools they need to help their business run more efficiently in the cloud. This has in it a lot of elements, payments being one of them. Ultimately, the program will help Xero advisors work with their clients to reduce aged debts and debtor days, as well as the time they spend chasing payments. Managing the books for those businesses then becomes less admin-heavy, too. Register for one of our live online training sessions covering how GoCardless works and the best way to recommend it to your clients. Complete your certification with a quick online test. 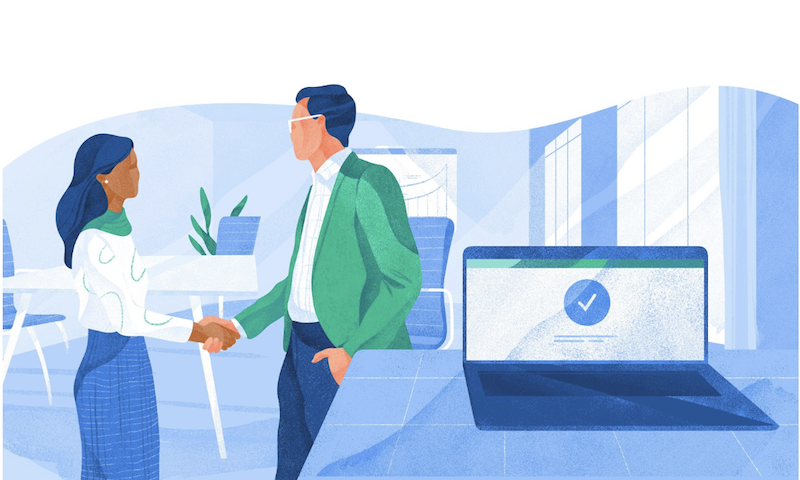 Receive your Accountant Partner kit, which includes your official certification badge, access to our online resources and a unique referral code (this gives an exclusive discount of three months of free fees to new GoCardless users). Get started with the support of our dedicated team. The GoCardless team will be at Xerocon this November ready to answer any questions about the program and help you get signed up. Make sure to stop by the stand and say hello. The post GoCardless launches Accountants Program in the UK appeared first on Xero Blog.